Dr. Wesley Muhammad gave a lecture at Boston’s Muhammad Mosque No. 11 in February entitled "The Secret Relationship between Blacks and Jews: The Homosexual Conspiracy!" Months earlier, anti-Semitic conspiracy theorist Christopher Bollyn gave a lecture on his views that Zionists and Israelis were behind the 9/11 attacks and Randy Muhammad spoke about "The Truth About UFO's." 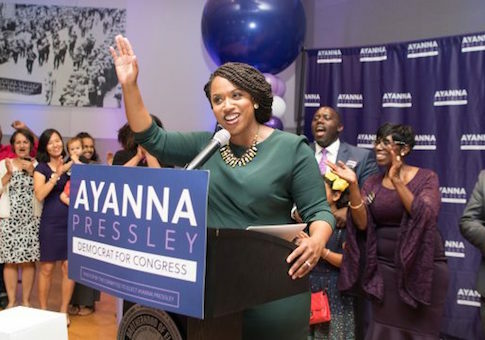 A Yahoo News profile of Pressley's primary campaign indicated she owed her win to a strong ground game, holding dozens of events in a single afternoon. "The Pressley campaign’s day illustrated the diversity of the district, as she met with leaders from the Puerto Rican and Haitian communities and hosted an event including volunteers in union T-shirts and members of the Nation of Islam, outside the mosque where Malcolm X once served as minister," Yahoo reported. Images posted to Pressley's Twitter confirm that the event was held outside the Muhammad Mosque No. 11 and features the union volunteers, but not the Nation of Islam. 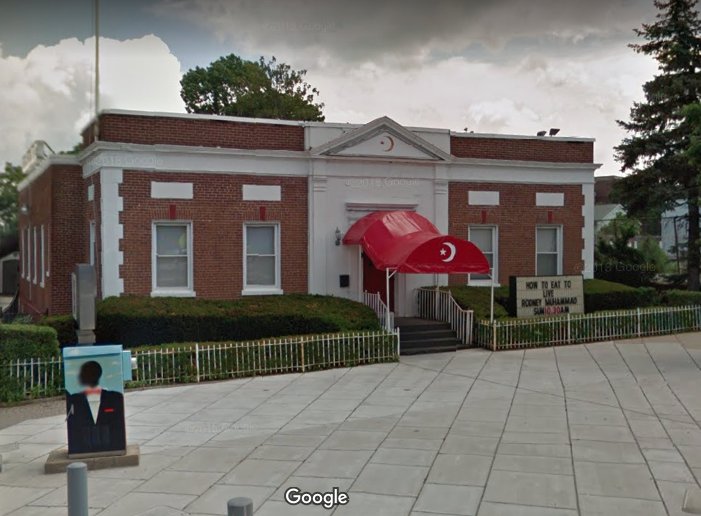 The Nation of Islam is considered a hate group by the Southern Poverty Law Center and other watchdogs for its history of anti-Semitic, homophobic, anti-white, and other bigoted stances. Leader Louis Farrkhan—who also once served as minister of Mosque No. 11—has defended Adolf Hitler, insisted 9/11 was committed by Jews, and taught that white people are subhuman devils created by an ancient African scientist named Yakub. When asked for comment, the Pressley campaign did not address the particulars of the Yahoo News report or Pressley's views on the Nation of Islam, but did broadly denounce "hateful viewpoints." "Throughout the campaign, Councilor Pressley has hosted hundreds of events attended by thousands of supporters and volunteers," campaign manager Sarah Groh wrote. "The Councilor is committed to lifting up the voices of everyone in her community—including survivors of gun violence and formerly incarcerated individuals—and working to counteract the hateful viewpoints espoused by any individual or organization, regardless of political affiliation. She looks forward to heading to Washington and spotlighting critical issues facing those in our communities who are too often overlooked." This was not the first time Pressley attended an event held outside Mosque No. 11 and with members of the Nation of Islam. The Bay State Banner reported that Pressley attended a 2016 vigil to protest the increase in local violent crime, during which NOI minister Randy Muhammad was prominently featured. "I’m here in solidarity," she said. "My job is to thoughtfully respond with policy." The Boston Globe likewise reported on an anti-violence rally in which Pressley spoke alongside Randy Muhammad, and another she attended alongside "members of the Nation of Islam." Pressley also praised Nation of Islam minister Don Muhammad in a 2013 tweet. Ironically, one of the few issues where Pressley ran to the right of Capuano was Israel. Capuano indicated in a questionnaire that he opposed a bipartisan anti-Boycott, Divestment, Sanctions (BDS) bill. Pressley declined to give a definitive answer and is allied with Alex Goldstein, a Democratic political operative who identifies as a "Jewish Zionist who works every day to fight BDS." This entry was posted in Politics and tagged Ayanna Pressley. Bookmark the permalink.